Considered a superfood, buckwheat’s most impressive quality is it’s naturally gluten-free content partnered with an intense source of nutrition. Rich in protein, fibre, vitamins and minerals, it’s the perfect replacement for flour and every celiacs dream! We sounded the alarm on the many health benefits of buckwheat not too long ago right here on our blogspot, where we presented our favourite and most inventive buckwheat recipes. To catch up on that first, click here. Continuing right where we left off, and keeping the buckwheat trend alive and kicking, we dare you to test this practically gourmet sweet bread recipe. Not only is this bread one of the most uniquely delicious baked goods you’ll ever have the pleasure of discovering, but it works perfectly as a breakfast meal, school snack, after dinner dessert, 100% gluten-free birthday cake. The best part of it all is that it’s really good, fresh, unprocessed food. Brimming with top quality ingredients renowned for their individually epic health benefits, this recipe truly takes the cake. Recipe by Carla Oates, as seen in “The Beauty Chef” Cookbook – available online. Preheat the oven to 350°F (176ºC). Lightly grease and line an 8×4″ (20x10cm) loaf pan with parchment paper. 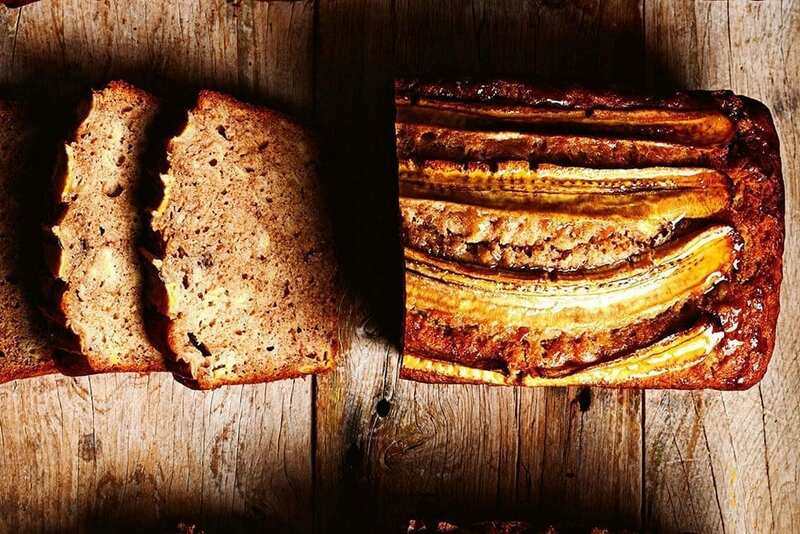 This banana bread is quite like any other you’ve probably ever tasted… or made. And although there are quite a few finicky ingredients, it’s really worth the wait and preparation. 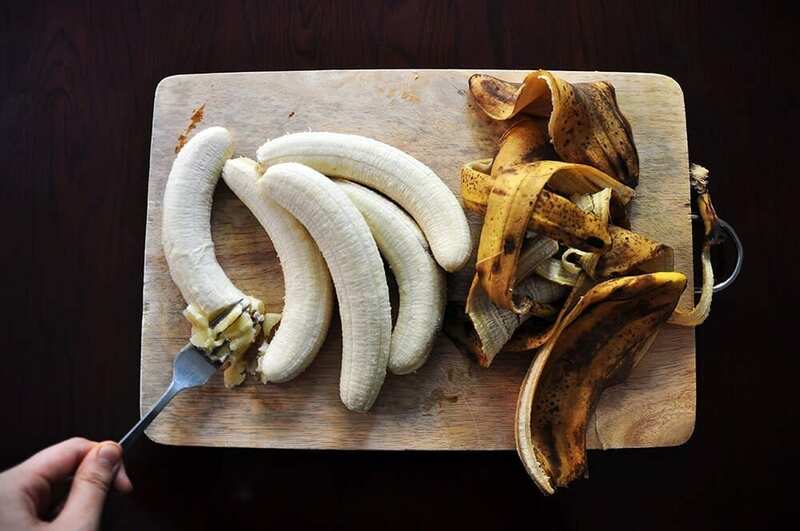 Albeit most of the wait is just for the bananas to turn that particular hue of brown. When I first tried this recipe I started off by ordering most of the rarer ingredients online. I don’t know about you, but I’m not too familiar with seeing buckwheat flour, himalayan pink salt, macadamia oil or vanilla bean powder on your everyday grocery store shelves. If you’re based in the UK, Waitrose or a specialty health food store might be your best bet, but amazon prime works well enough for me and means I didn’t have to go scouting about, or call up various shops to ask if they stock my rather uncommon ingredient requests. If you’re not too familiar or comfortable with online shopping, I would definitely recommend calling the supermarkets or food stores you intend on going to ahead of time, just to ensure they stock what you’re after. The only thing worse than spending all that time cooking and cleaning in the kitchen is having to spend precious time and energy on a wild goose chase for some obscure specialty that you haven’t even heard of before. I do promise this recipe makes it all worth it in the end though! Want to see where good nutrition can take you? Why not enroll in our online school and benefit from internationally recognised qualifications which can take you anywhere you want to go.